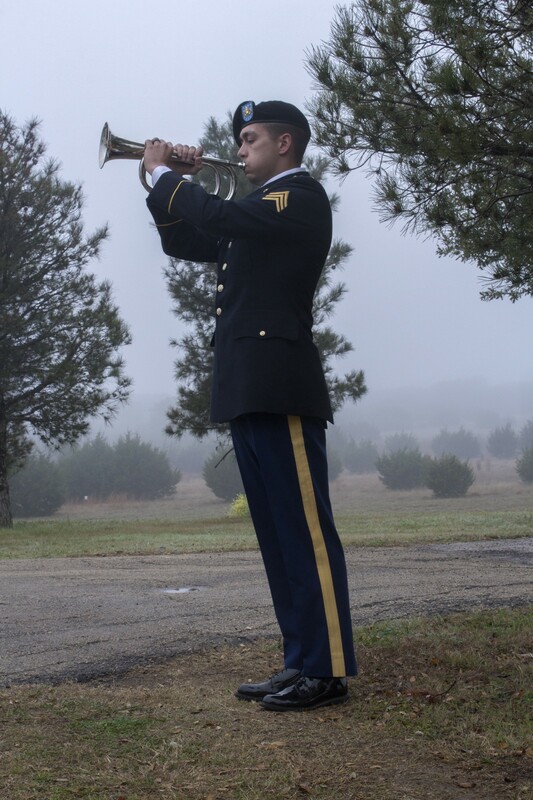 On Tuesday, March 12, 2019, beneath a shroud of fog, the Texas Veterans Land Board (VLB) held its 100th Unaccompanied Veteran burial for Mr. Major Lee Shotwell Jr. at the Central Texas State Veterans Cemetery in Killeen, Texas. Born on November 18, 1945, Mr. Shotwell passed away on November 20, 2018, just two days after his seventy-third birthday. Shotwell was a Vietnam Veteran who served in the U.S. Army from 1963 to 1966. Prior to his death, Mr. Shotwell resided in Temple, Texas. Mr. Shotwell was not expected to have anyone attend his funeral, as no next-of-kin could be contacted, so the VLB invited members of the community to attend and ensure that this United States Army Veteran was not buried alone. The cemetery staff coordinated with the Fort Hood Casualty Office to provide full military honors for Mr. Shotwell. 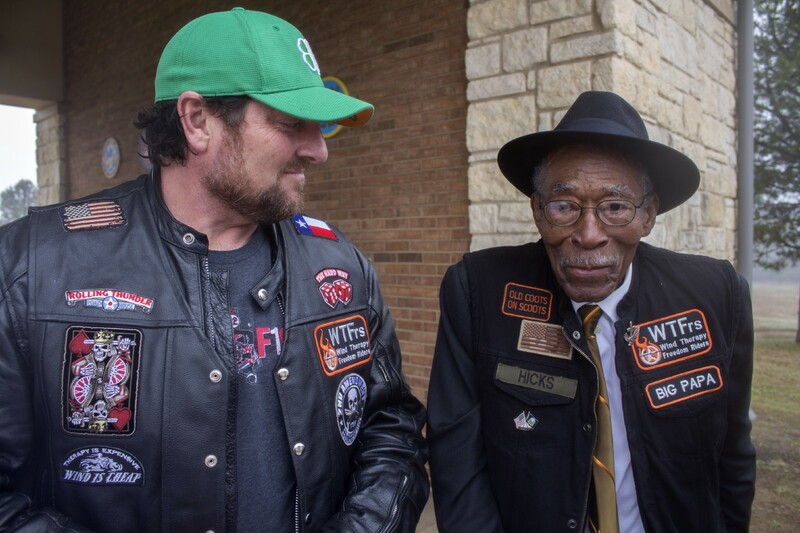 World War II Veteran Louis Hicks, who served in the U.S. Army as an MP, came down from Austin to attend the service for a man he didn’t know, but still considered a brother. 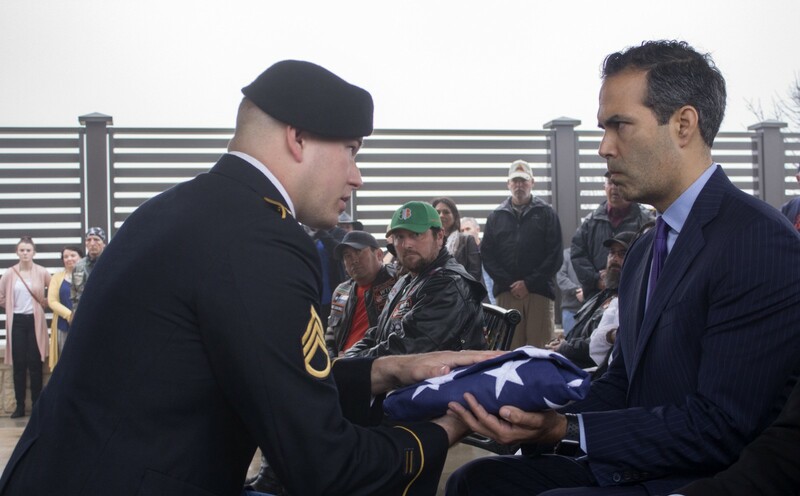 George P. Bush, Texas Land Commissioner and Chairman of the Texas Veterans Land Board, was honored to step in as a member of Mr. Shotwell’s military family and received the folded U.S. flag on his behalf. Commissioner Bush initiated the Unaccompanied Veterans Program in 2015. Unaccompanied Veterans have no known next-of-kin, meaning the VLB claims these patriots as our own, so they may rest alongside other brave defenders of our nation’s freedom. Through our Unaccompanied Veteran Program, the VLB and members of the local community are able to honor and acknowledge the service of our Veterans. 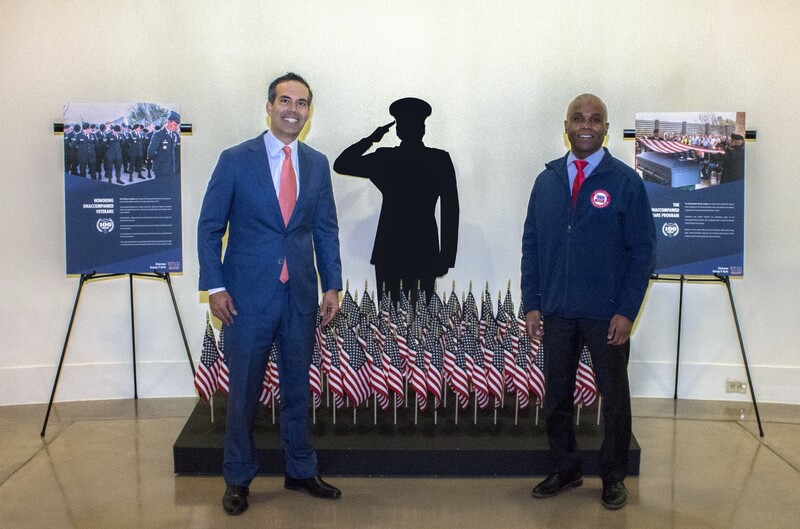 On Monday, March 11th, the VLB displayed a special exhibit honoring the 100 Unaccompanied Veterans interred at the Texas State Veterans Cemeteries in the Texas State Capitol Ground Floor Rotunda. 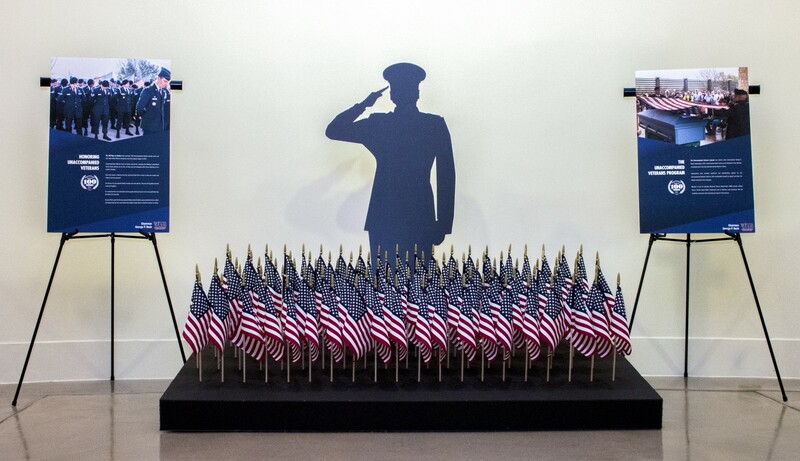 Part of the display consisted of one hundred American flags, each one representing an Unaccompanied Veteran whom the VLB has interred with honor and dignity. Communities have provided significant and overwhelming support for the Unaccompanied Veteran Program, with considerable turnouts to support and honor the Veteran during this rite of passage. The Unaccompanied Veteran Program stands as a testament to the respect and understanding our communities have for the value of the military family. Although the Veterans may not have families or next-of-kin, and regardless of where they may have found themselves in life, they can rest peacefully knowing the military family never forgets and never leaves a Veteran behind. Stay up to date on upcoming Unaccompanied Veteran burials by following us on Facebook and Twitter, and subscribing to our email list.